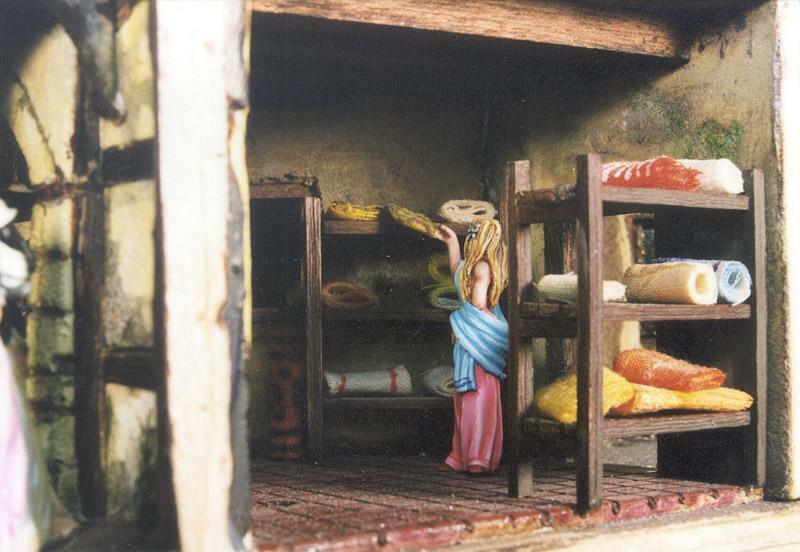 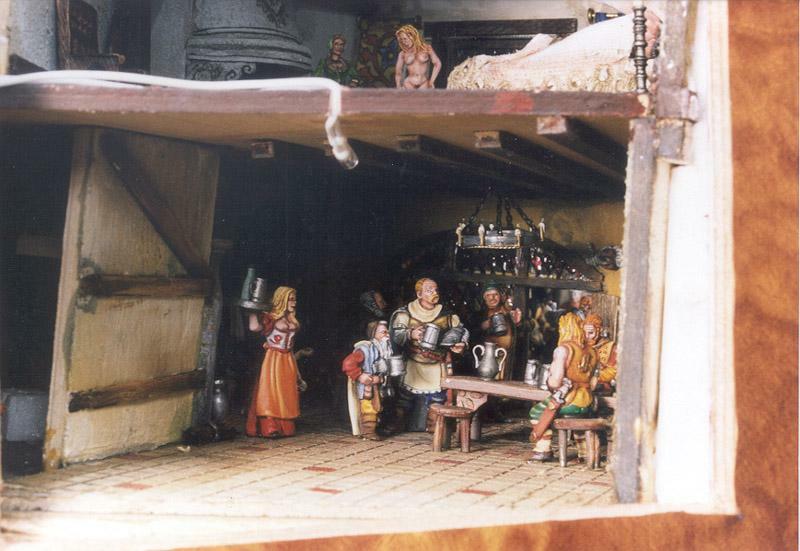 Several years ago, during a trip in the National Gallery of London, I saw an interesting small diorama created by an old dutch artist. 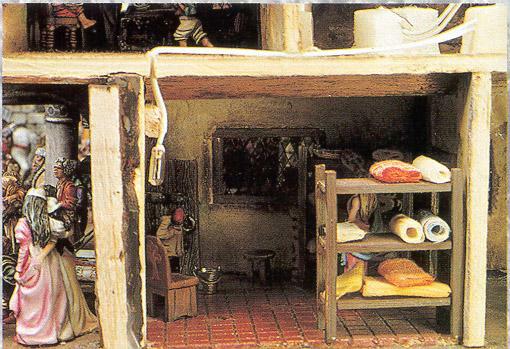 This diorama presents a very simple living room but all the interest was that using a small hole on the side of the diorama, we can see a dog hidden behind a door and this dog can't be see by another way than this hole. 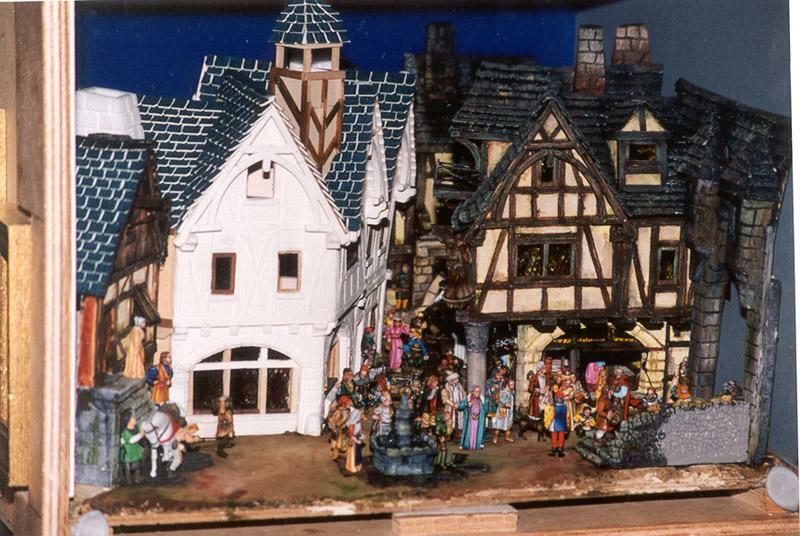 So some days after, I decided to build a big diorama with several points of view in front and on the sides of the box. 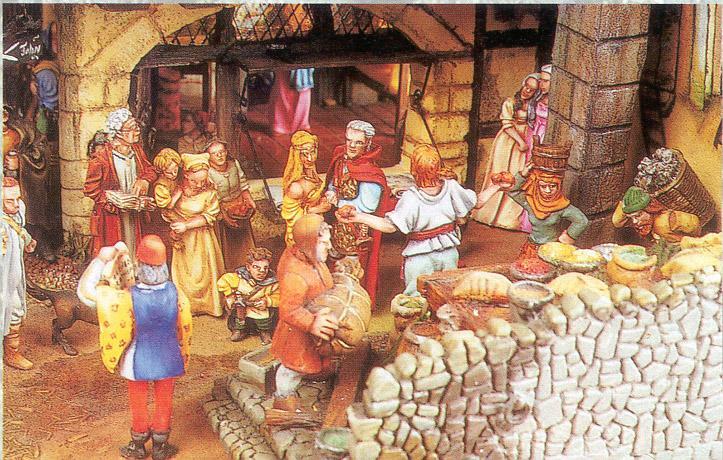 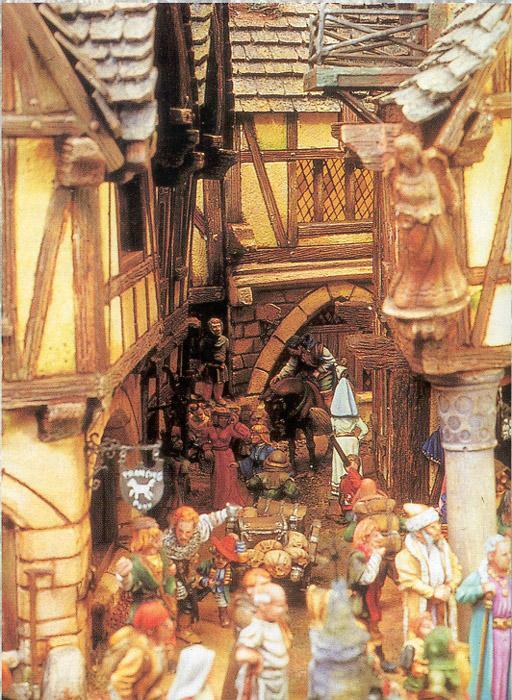 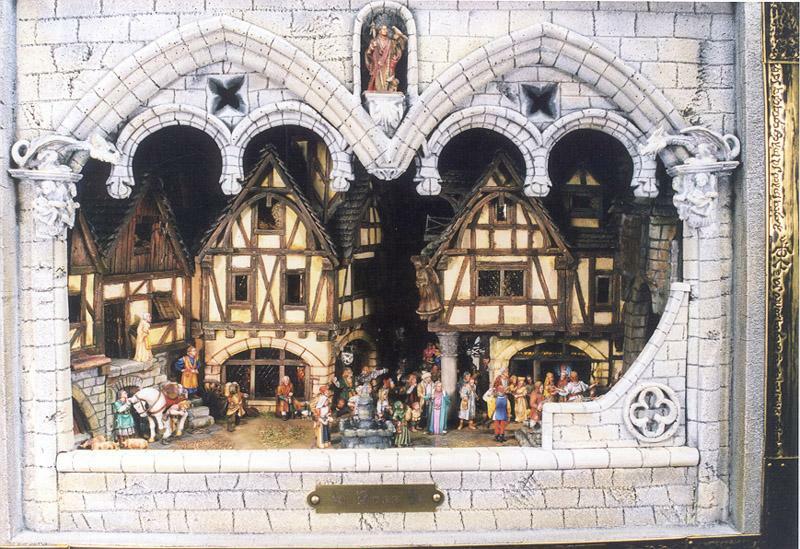 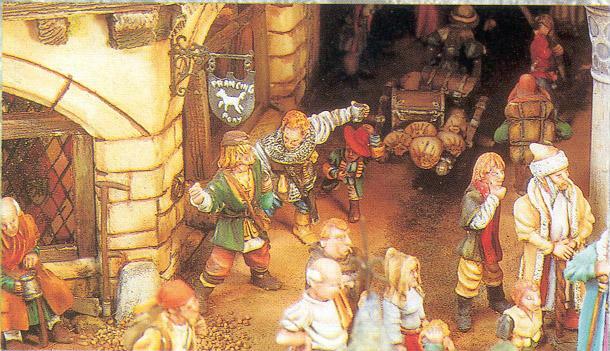 We can see on this diorama the main market place of the Bree village with all the crowd working on day to day jobs. 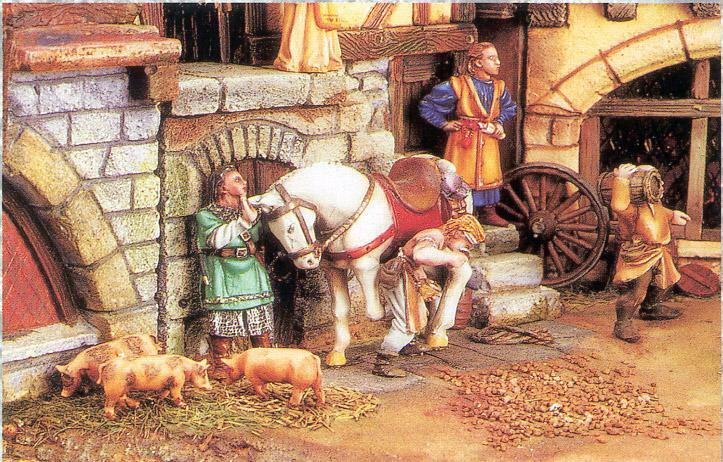 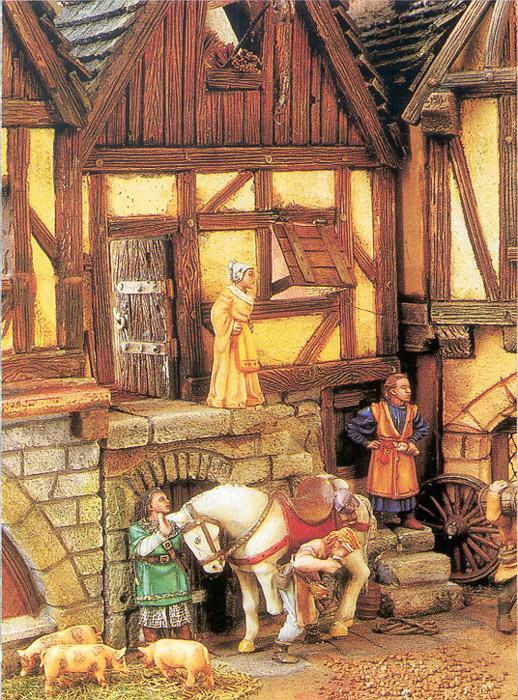 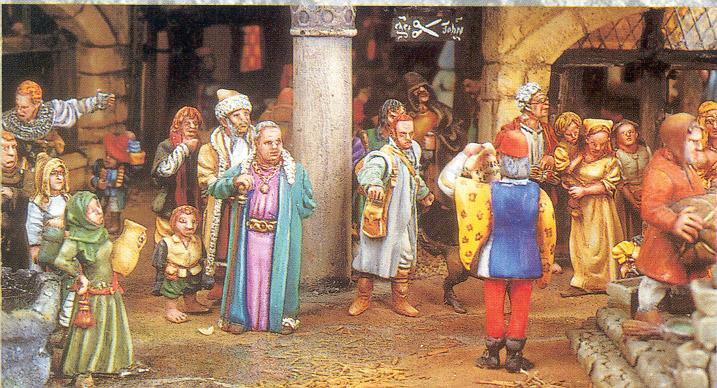 We find all classical people working in a medieval town: the smith with an horse, some noble persons hearing the herald, some beggars, woman and children drinking in the fountain, the baker preparing his goods, ... 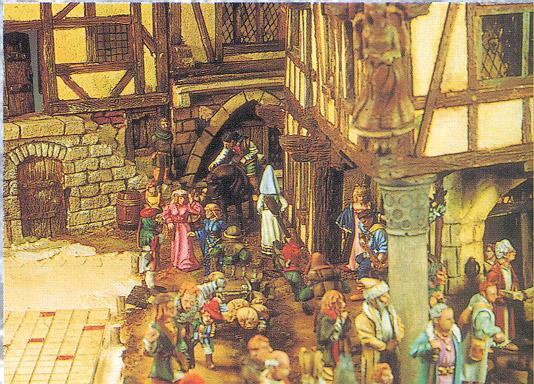 I'd have to give the impression of an oppressive crowd (specially in the small alley of the bottom). 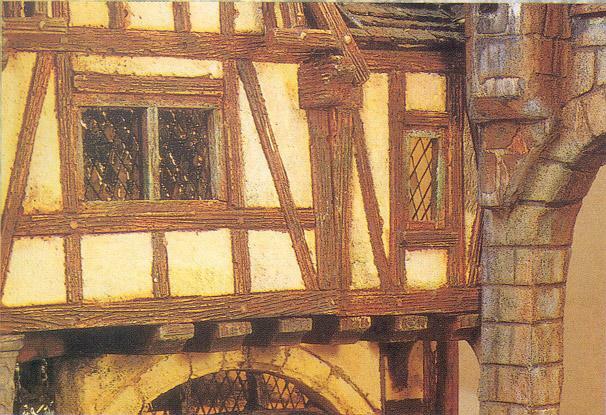 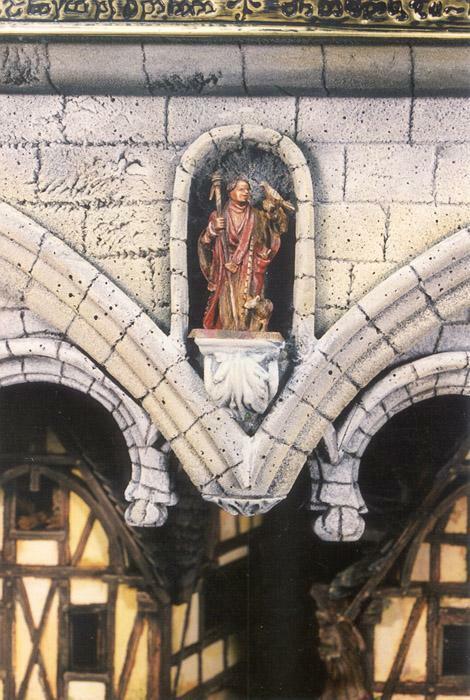 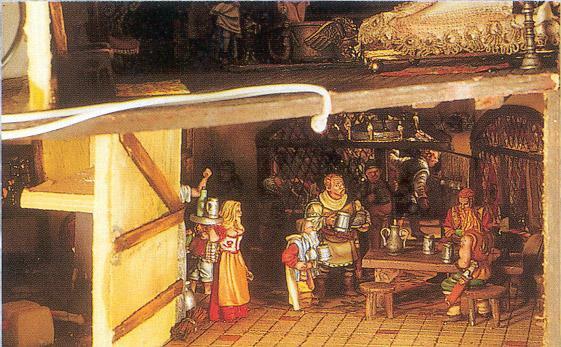 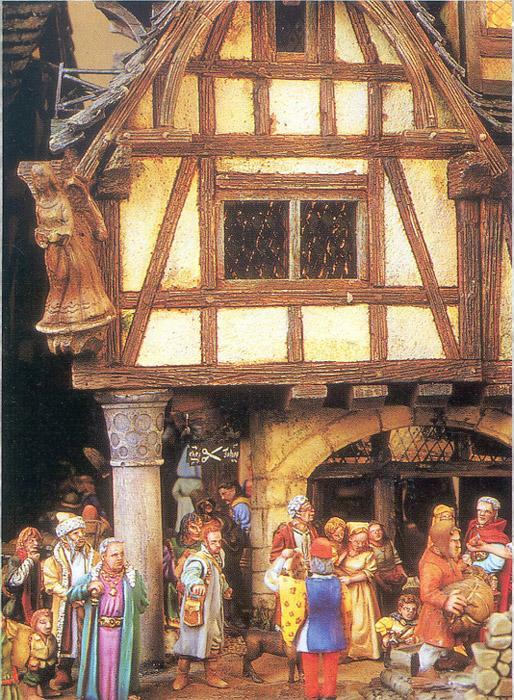 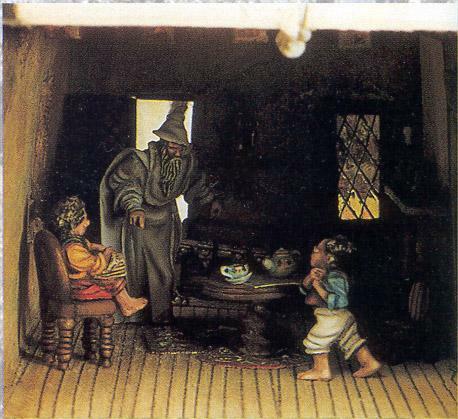 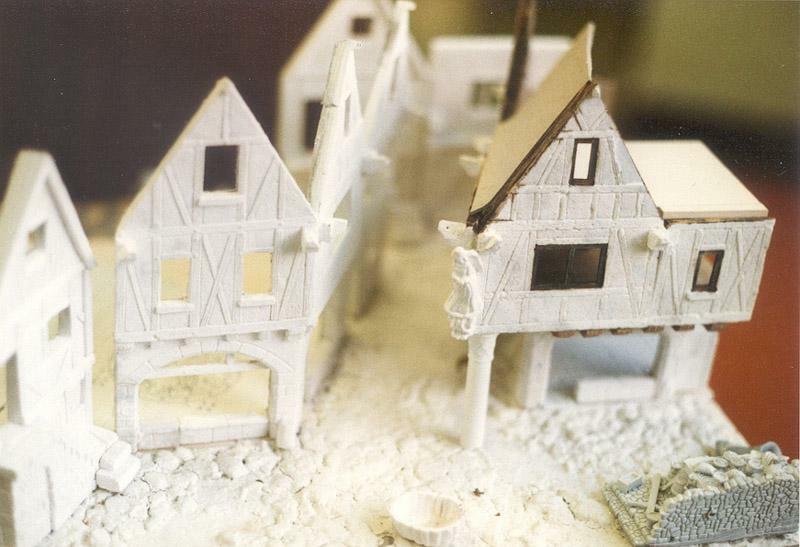 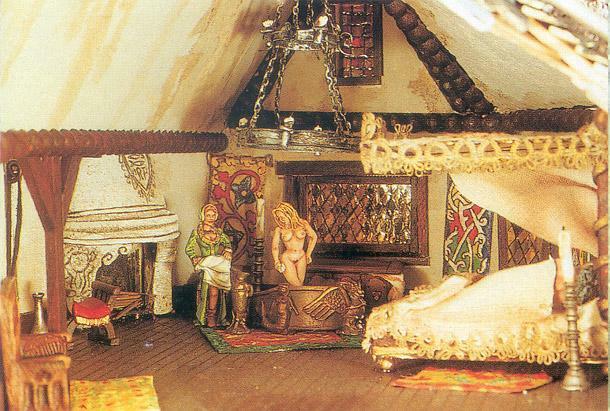 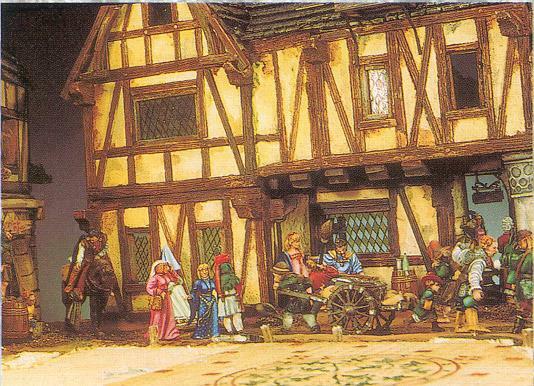 Inside the buildings, you can see using holes on the box sides the mythic "Pony" tavern, the bedroom of the young lady, a room with Bilbo giving the ring to Gandalf and the sheets shop. 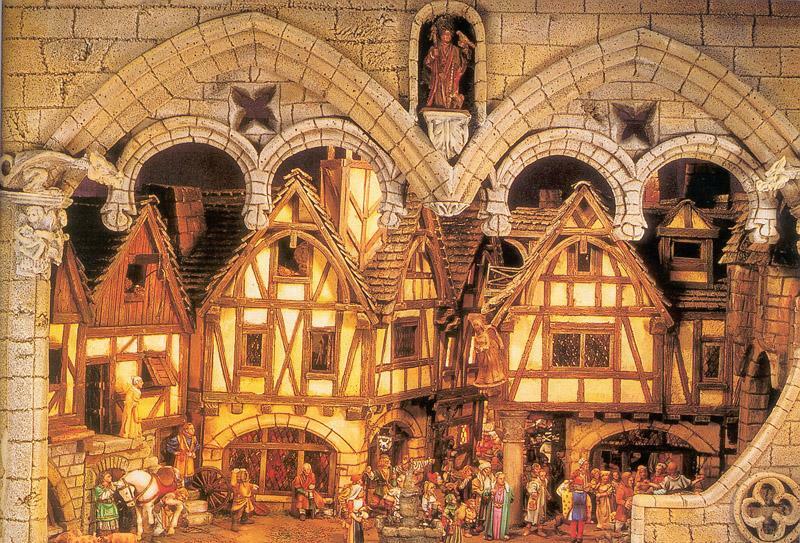 Regarding electric installation, I used 10 12v light bulbs, 2 220v light bulbs, 2 ventilators for hot air extraction and some 12v power alimentation. 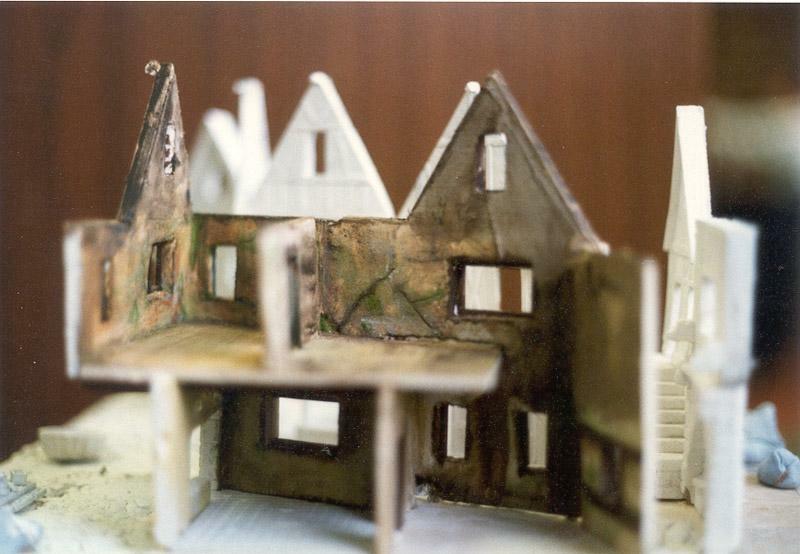 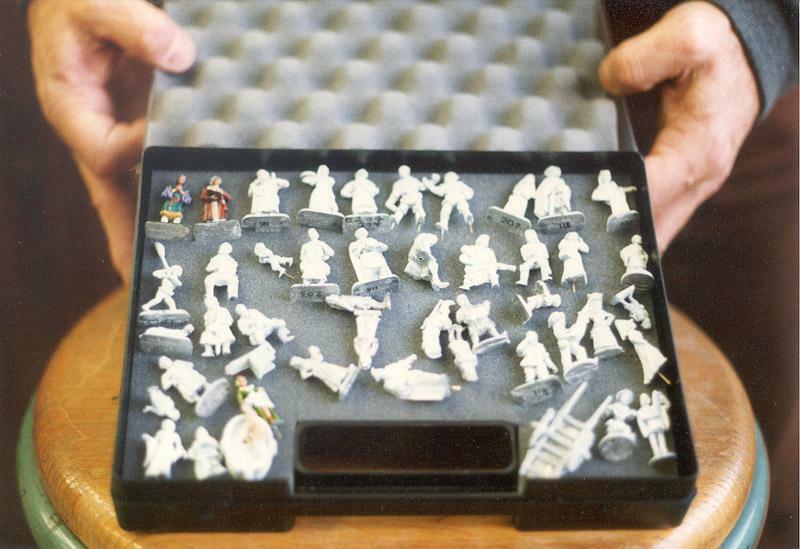 I put hereafter some pictures explaining the diorama realization. 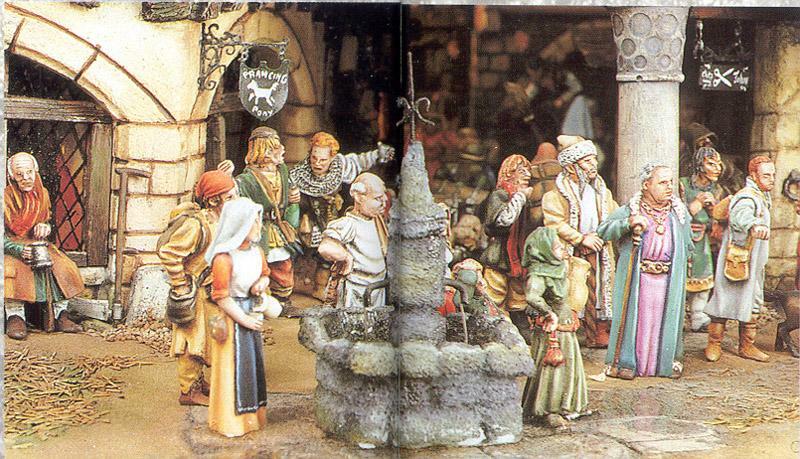 I need more than one year to achieve this diorama. 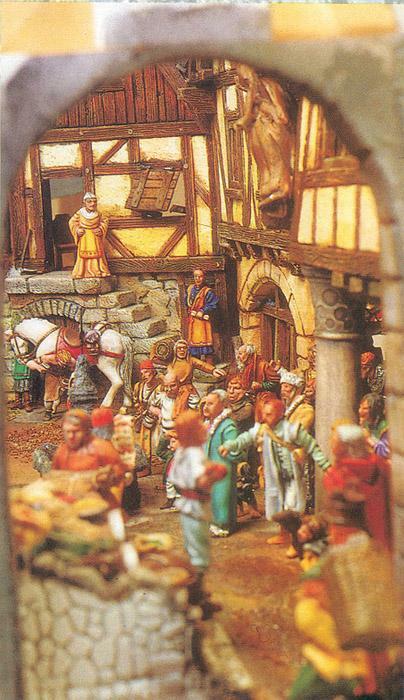 I hope you'll enjoy as much as I !